If you want your brand to be successful and gain recognition, you have to create a landing page that resonates with your visitors. Thousands of online users spend no longer than a few seconds on each page they click on – in order to make your landing page stand out, you have to put everything in the right place for a conversion to occur. Although we recognise that each and every brand is different, following these 8 steps will set you on your way to creating a powerful, engaging landing page. The last thing you want is for your landing page to be cluttered, difficult to navigate and unattractive. Making it easy for visitors to find what you consider to be the most important features of the page will mean you are half way there. So if the main objective of your landing page is for visitors to download a sample of your work, then you need to make sure that the call-to-action (CTA) button is easily noticeable. You can do this by creating a clear contrast between the button and the background of your page. An example of how this can be done is to have a clear background and a boldly coloured CTA button which is clearly in the viewer’s line of sight. Other ways you may emphasise your CTA button is to design it using a different shape to other buttons on the landing page, or make it slightly bigger than less important features. Using simple imperatives for your CTA buttons can only increase your possibility of conversions. It is important to remember that the large majority of people who will visit your site will not be on it for a long period of time e.g. those who are just skimming through pages on their mobile. Thus, using actionable words will trigger instant reactions from your viewers. An added bonus of using these short, simple words is that they invoke a ‘cliff-hanger feeling’ in the user i.e. now they have found out a little bit about your brand from the landing page, they will want to click the button and visit further pages to find out more. With over 50% of online traffic now coming through mobile devices, you simply can’t afford to miss out. It is worth going the extra mile to ensure that your landing page looks good, loads quickly and is easy to navigate from mobile devices. Most online users will be able to tell if there is a difference in quality between your desktop landing page and its mobile equivalent – so if you update or make any changes to one, it is vital that you don’t forget to do the same to the other. Maintain the consistency of your branding. You can use Google’s free-to-use test tool to check whether your landing page has a mobile-friendly design. Visuals, videos and infographics allow you to get across the information you want to your visitors in different ways. Including a short, informative video on your landing page means you will add more information about your brand and services without overwhelming users with too much text. A video can even be positioned next to important text or a key CTA button – the video can explain your offer in more detail. Creating an infographic is an aesthetically pleasing way of presenting impressive stats, facts and did-you-knows about your brand. Again, placement of this feature is important- you may not want to include it right at the top of your landing page as it could detract from your CTA buttons or other content. Don’t be afraid to position it further down your page – visitors are aware that they can scroll down your page to find more information. This is an aspect that is overlooked by so many landing pages – and understandably so. But of course you want to get ahead of the rest, and matching the words and phrases used in your website copy with those chosen in your PPC ads can help you to do this. Once a user realises that a landing page follows this practice, they will instantly classify this website (and the people behind it) as being professional and mindful of attention to detail. Equally, consistency in the navigation to pages from PPC ads cannot be ignored. If a PPC ad about content marketing leads a user to information about your SEO services, you’re not doing it right. If you align things correctly in this sense, your reputation and likelihood of conversions will improve. As we have previously mentioned, keeping things simple, clean and effective on your landing page is a big thumbs-up. Add this to the fact that online users nowadays don’t want to be asked more than they need to be asked, and it’s easy to see why you should make forms on your website minimalistic. Resist the natural urge to try and collect as much information as possible from your users. Put yourself in their shoes – studies have shown that asking for a phone number or date of birth will discourage 50% of users from filling in the form at all. Don’t leave any margin for error whatsoever. As much as making your CTA buttons stand out is a positive thing, don’t emphasize them to the point that your land page appears overly ‘salesy’. 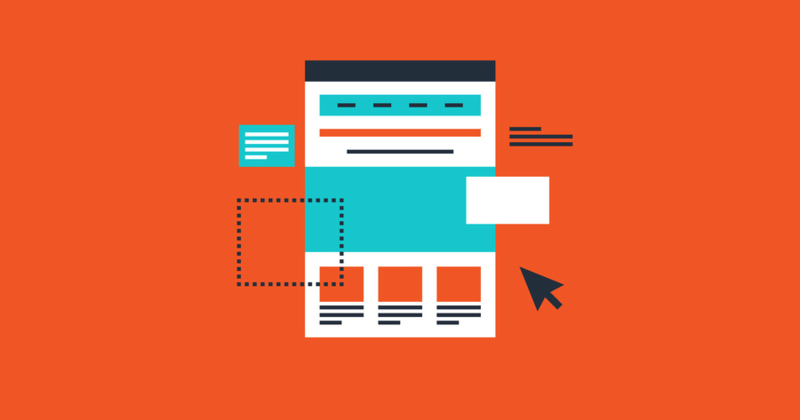 Ensure that your landing page displays the benefits of your business and try not to be misleading. If all the user sees is a button saying ‘Buy Now’ without much explanation, they will not want to stay on your page for much longer. ‘Signals of trust’ include testimonials from clients and customers, logos of well-known and/or popular brands which you have worked with, endorsements you may have received from certain circles within your industry and the inclusion of logos of well-respected business or networking groups which you belong to. Real word-of-mouth testimony of your skill and expertise in your field will enhance your reputation. Showing your customers that you are a member of certain networking groups proves your enthusiasm and commitment to your job, and that you are passionate about what you do. Offering options such as trying out a free 30-day trial of your product or a free subscription to a newsletter or blog is another way of building up trust with your users. They may be re-directed to your website through PPC ads on your blog, or come to associate your brand with content they may like that features in the newsletter. So, to summarise: even if you think your landing page cannot be improved, there are always a few tweaks which can be made to ensure that online users engage with your brand more. Once you have implemented these 8 steps, then you will have gone a long way to making your landing page aesthetically pleasing, powerful, effective, and ultimately converting visitors into leads and long-term customers.